We departed Bora Bora Thursday 26th. After an initial quiet day the winds and seas built into 4 days of 8-10 ft seas and winds in the mid-20s. For a couple of days we had a constant stream of rain squalls bringing winds of 30+ knots. 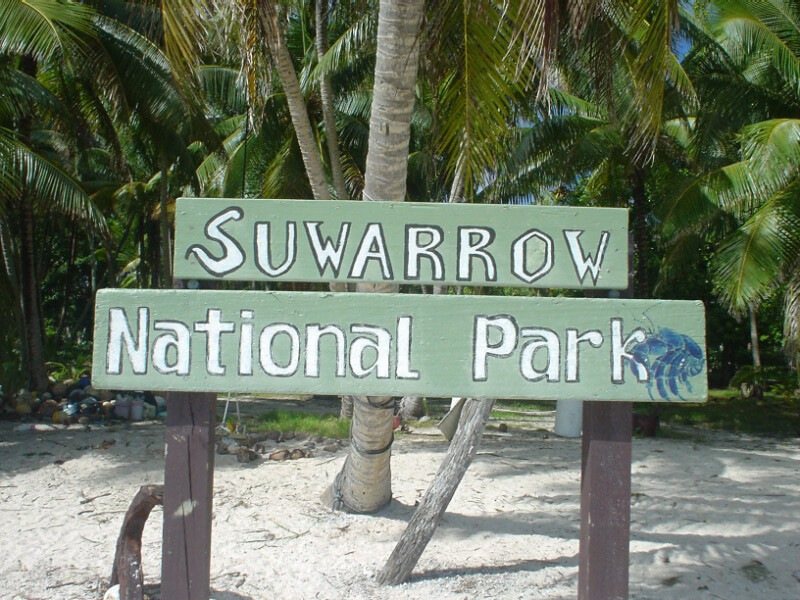 After 5 days and 700 miles we have stopped at Suwarrow Atoll -- also called Suvorov. This atoll is a National Park within the Cook Islands. Our cruising guide seemed to suggest that we would be unable to enter in the sea conditions we were experiencing, but in fact the entry was quite safe and easy -- I called a boat inside the atoll to get their view. The only residents are John and Veronica that are the Park Rangers during the half year that the park is open. 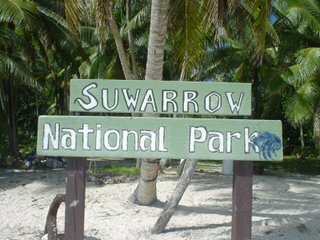 While we are here we hope that they will take us on a tour of the bird nesting areas, and we also plan to get in some diving. We'll stay here a few days before we move on to Samoa -- 450 miles -- the conditions are expected to have settled by then. 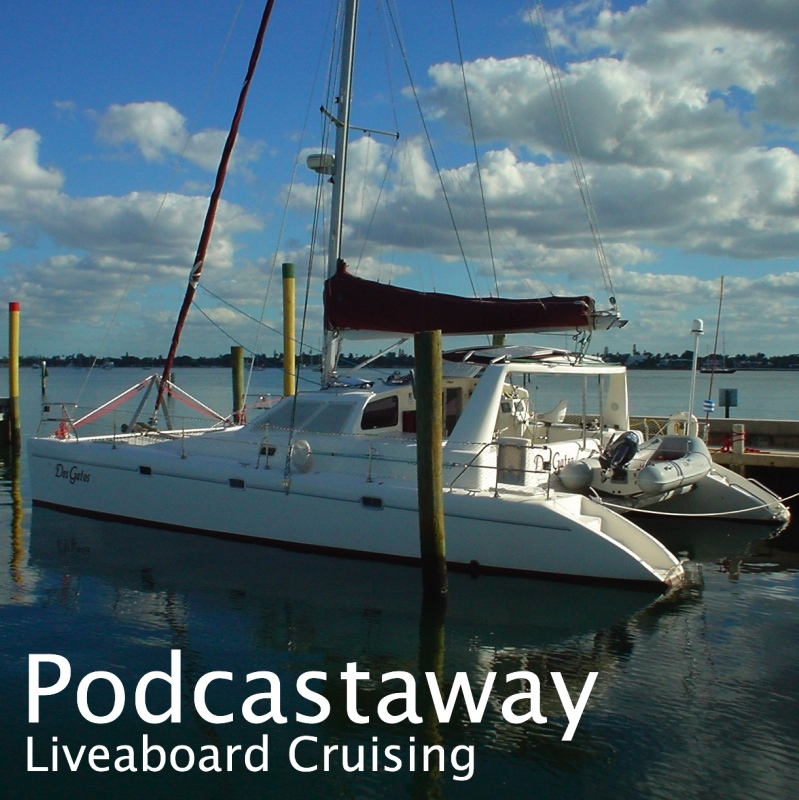 We're in Bora Bora in the Leeward group of the Society Islands of French Polynesia and soon we'll be on our way west. It was an overnight trip from Tahiti to Huahine where we stayed 5 days. We rented a car and drove around the island visiting a vanilla plantation and a botanical garden. That evening we ate dinner in the hotel where we rented the car and they put on a Polynesian music and dancing show. We then motored 20 miles to Tahaa. This island shares a lagoon with Raitea and is busy with bareboat charter boats. We hid from weather for a couple of days, and tried two pass dives. Now we're in Bora Bora which is a quite spectacular place. A tall spiky island in the middle is surrounded by a lagoon with only one pass, and the lagoon is ringed with motus (small islands). Many resorts are on motus so thjey have lagoon access, ocean views, and a view of the central mountain! We anchored for a night off a restaurant called Bloody Mary's and enjoyed a meal in opulent Polynesian style surroundings. Then we motored all the way around the lagoon to find snorkeling sites. In a few days we'll clear out and set off west. We're still debating whether our first stop will be Cook Islands, Niue, or Samoa! We are in Moorea which is about 15 miles from Tahiti. We are still waiting for one of our packages from the US so we'll have to go back to Tahiti when it gets in. Moorea is a much more pleasant place to wait in. 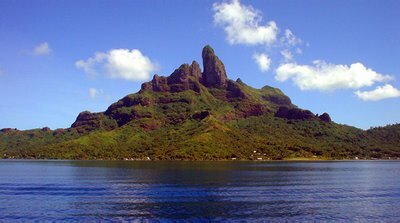 There are two nice bays on the north side of Moorea - Cooks Bay and Opunohu Bay - we are anchored just by the entrance to Opunohu Bay. Compared with where we were in Tahiti, this location has fewer boats, beautiful scenery, is less built up and is close to a diveable reef. We've made three dives on the reef so far. I have reviewed and edited the underwater photographs that I have taken in the Pacific, so far. 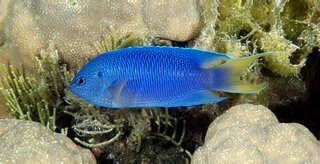 I have published three collections on the website covering dives we made in Galapagos, the Marquesas and the Tuamotus. The photo albums can be viewed from our Gallery Page. We've been in Papeete, Tahiti, for over a week now. All our chores are complete - fuel, propane, groceries, etc. and although we're waiting for a package, we would have liked to wait in Moorea and come back for it. Mara'amu means South Wind and it seems to be the southern hemisphere equivalent of the Northers that bothered us in The Bahamas and the northern Caribbean. There, every 5-7 days a low would come off the continental USA and sweep a cold front through our area. Winds would clock over several days - from east to southwest and then to north when the front goes over. It would blow hard and (relatively) cold out of the north for several days before easing and clocking back into the east. Unfortunately, we were poorly prepared as we weren't expecting it. This anchorage at Papeete isn't sheltered much from the north, west or south. There's the barrier reef out there which stops it getting serious but you can build up a pretty good chop with maybe a mile of fetch. I think the worst is over and we'll be free to leave in a day or two. 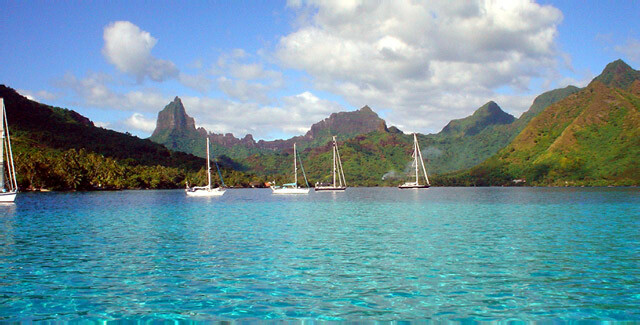 Then it's off to Moorea, Huahine and Bora Bora.